San Pedro cactus (Trichocereus pachanoi), otherwise known as the Cactus of the Four Winds, Huachuma or Saint Peter’s Cactus, is a fast growing columnar cactus native to the Andes Mountains – which can grow up to 20 feet high. It is usually found in Peru, Argentina, Bolivia, Chile, and Ecuador – but is also cultivated in many other parts of the world. San Pedro has a history of being used in Andean medicine for healing and religious divination for thousands of years, and archeologists suggest it originates from the Moche culture which flourished in ancient Peru from about 100AD to 800AD. It is also believed that the name originates from Saint Peter, who is believed to hold the keys to Heaven. 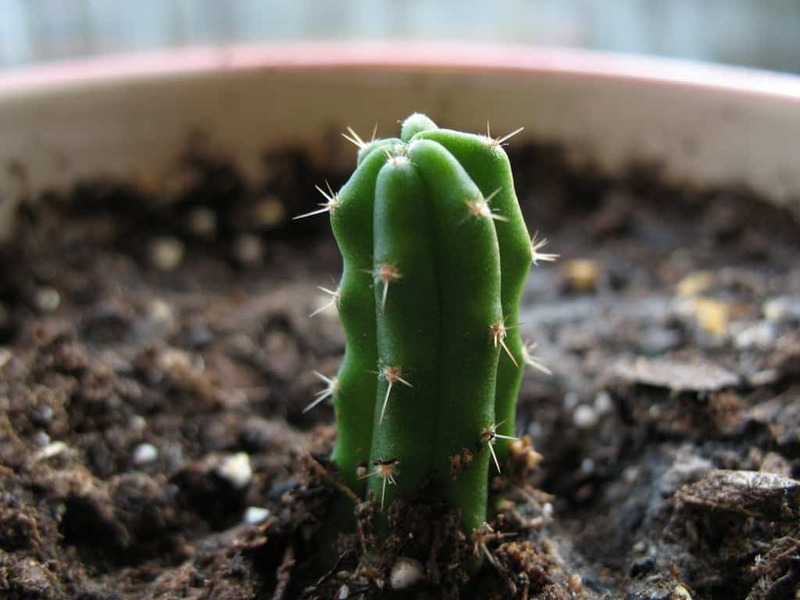 While San Pedro cactus is similar to Peyote, because it also contains the psychoactive alkaloid mescaline, it is different in several ways. First, concerning legality…Peyote is illegal in United States to cultivate, own, or process (including seeds), unless you’re a member of the Native American Church, while San Pedro is legal to grow and own (including seeds) as long as the intention is not to process or manufacture mescaline. Secondly, the mescaline content is different in each – with the mescaline content being very high (200-500mg per 6 g) in Peyote, and a bit lower in San Pedro (.1 to .331). It is also important to note that Peyote tends to be a lot more difficult to experience due to its rarity, and San Pedro can be a lot easier to come into contact with if you’re seeking that type of journey. San Pedro is considered an extremely potent medicine, which can treat a range of emotional, mental, and physical disorders – and is also effective at treating addictions. Shaman/healers call the plant “El Remedio” (The Remedy), because it is believed that San Pedro’s powers can help us “let go of the illusions of the world”, thus curing us from “dis-ease” (disease). “It is a master teacher”, she says. “It helps us to heal, to grow, to learn and awaken, and assists us in reaching higher states of consciousness. I have been very blessed to have experienced many miracles: people being cured of all sorts of illnesses just by drinking this sacred plant. We use it to reconnect to the Earth and to realize that there is no separation between you, me, the Earth, and the Sky. We are all One. It’s one thing to read that, but to actually experience this oneness is the most beautiful gift we can receive. “San Pedro teaches us to live in balance and harmony; it teaches us compassion and understanding; and it shows us how to love, respect, and honour all things. It shows us too that we are children of light – precious and special — and to see that light within us. “Each person’s experience will be unique, as we are all unique, and drinking San Pedro is therefore a personal journey of discovery, of the self and the universe. There is one thing in common though: The day that you meet San Pedro is one you will never forget – a day filled with light and love, which can change your life forever… and always for the better”. Typically San Pedro is prepared by first cutting the cactus, and then dicing/chopping the pieces and putting them into boiling water, from there – the liquid is concentrated through slow evaporation, which can take anywhere from 8-24 hours. From that point the liquid is passed through a cloth and what is collected is what is drunk to induce the spiritual/psychedelic effects. The dried cactus can also be eaten as well, but the liquid form tends to be the more popular choice. Approximately 1-2 hours after consumption San Pedro will begin to take effect with the experience lasting anywhere from 8-15 hours. Commonly reported effects are extreme sensitivity to light (being able to see/feel every ray light or see people and things ‘radiate’), resurgence of forgotten memories, the ability to hear (or see) sounds and voices from far away, emotions such as intense feelings of laughing, pleasure, and love are experienced but negative emotions such as crying, screaming or fear can also be experienced as well. 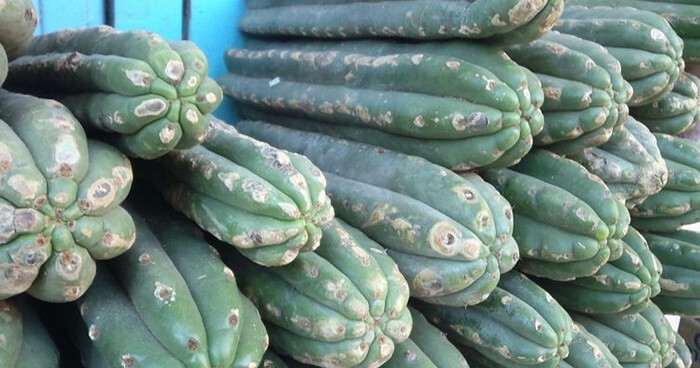 Some claim the effects of San Pedro to be more pleasant than peyote, and believe the psychotropic experience to be less overwhelming and more tranquil. “the drug produces .. drowsiness or a dreamy state and a feeling of lethargy..a slight dizziness..then a great vision, a clearing of the faculties..It produces a light numbness in the body and afterward a tranquility. And then comes detachment, a type of visual force..inclusive of all the senses..including the sixth sense, the telepathic sense of transmitting oneself across time and matter…like a kind of removal of one’s thought to a distant dimension.